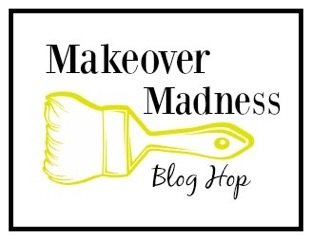 Recently, Velvet Finishes sponsored a super fun blog hop titled Makeover Madness! A group of 11 amazingly talented ladies joined in and transformed some great furniture pieces with Velvet Finishes. 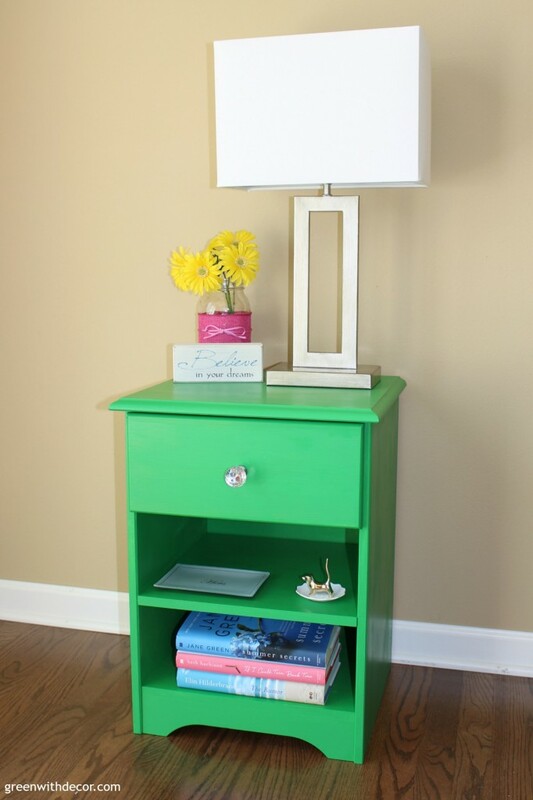 Today, I wanted to share with you these amazing projects and show what a change a little paint can do! 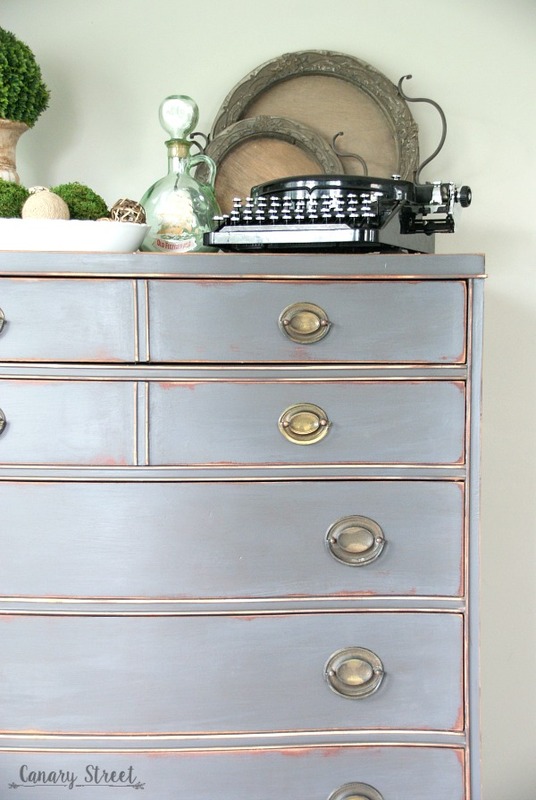 If you aren’t familiar with Velvet Finishes – it is our No Sand, No Wax, No Brushstrokes magical paint formula – created with the lazy girl painters in mind. 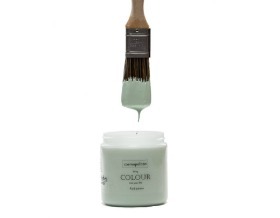 We currently offer 21 highly-pigmented colours + many extras including gels, glazes, furniture prep cleaner, a protectant, and amazing furniture brushes. 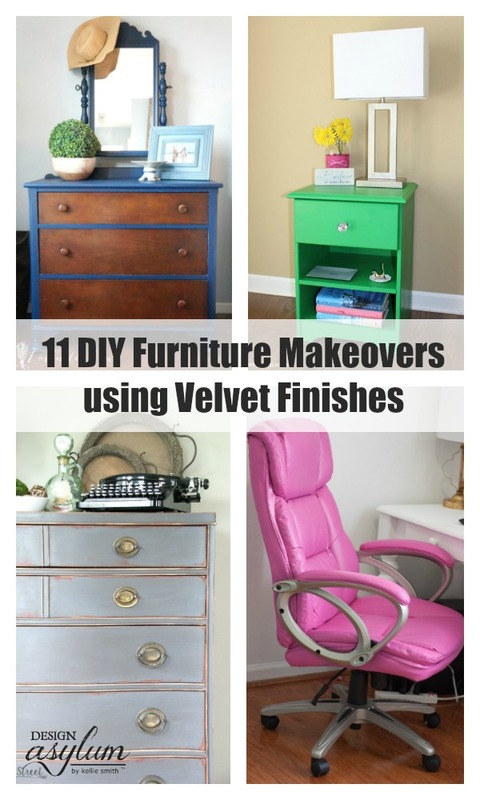 If you are a DIY newbie or an old pro, Velvet Finishes is the easiest furniture paint out there, I promise. 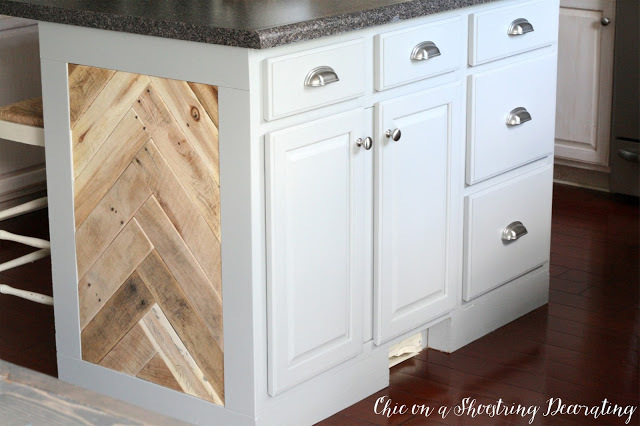 Let’s jump into the Makeover Madness Blog Hop projects and see what these ladies had to say about Velvet Finishes! 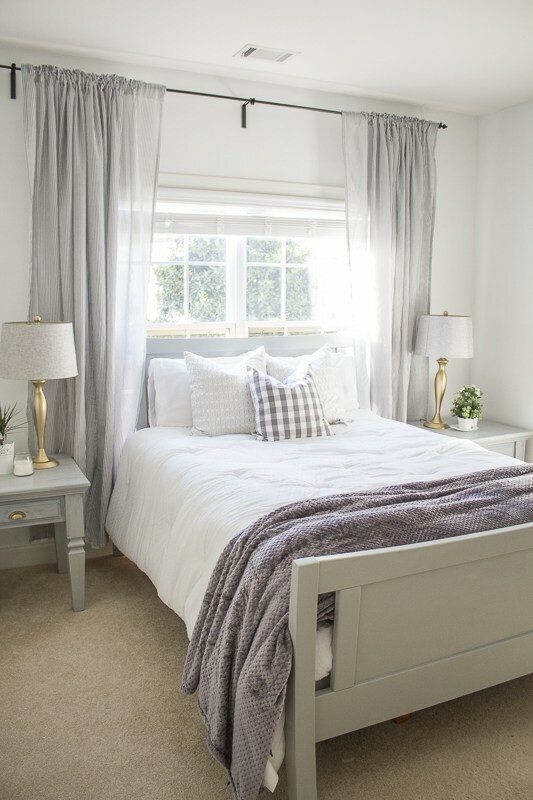 Yuni at Love Your Abode transformed her entire guest room, using Velvet Finishes Opulent on her bed and nightstands! 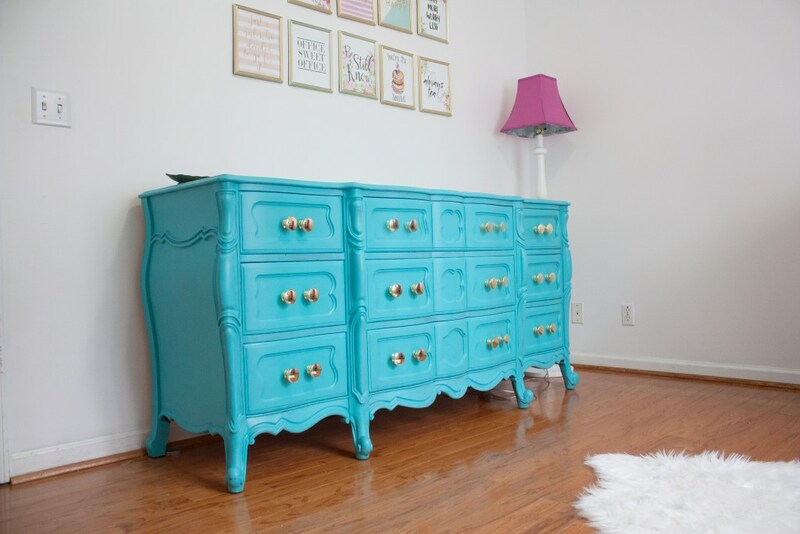 Meg from Green With Décor covered this beauty with Velvet Finishes Enchanting. 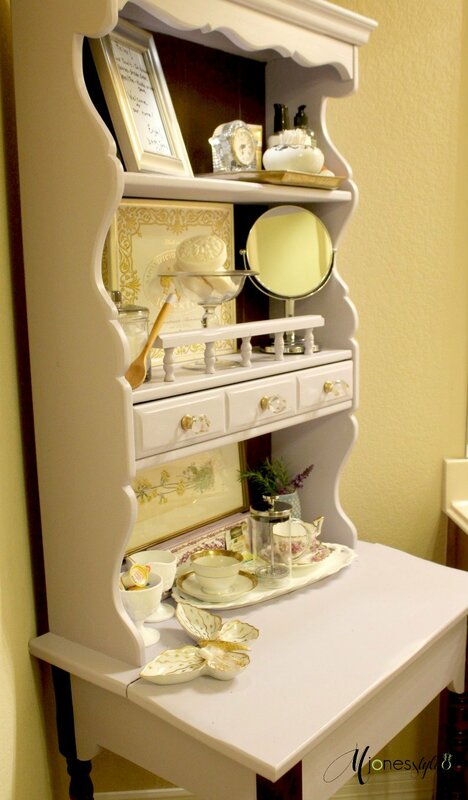 Deb from Seeking Lavender Lane did an amazing job with this dresser. I mean how Handsome is this piece? 🙂 Deb used our navy shade, Handsome. 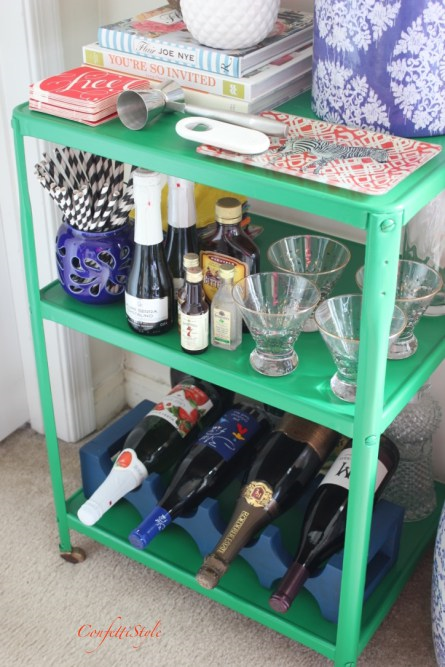 Kate at Chic on a Shoestring Decorating revamped her kitchen island and used VF Opulent! Amy from Amy Howard Social transformed a few pieces with Velvet Finishes. 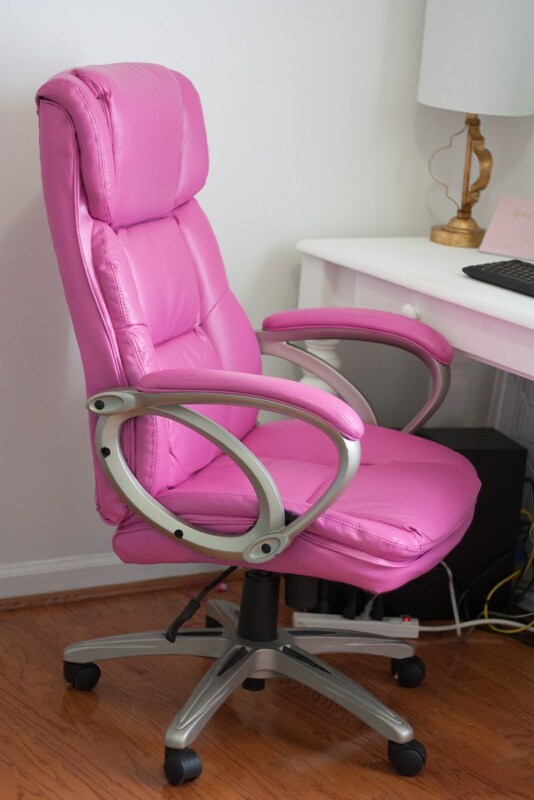 Check out her Glamorous office chair, Minimalistic Bookshelf, and Boheme dresser! 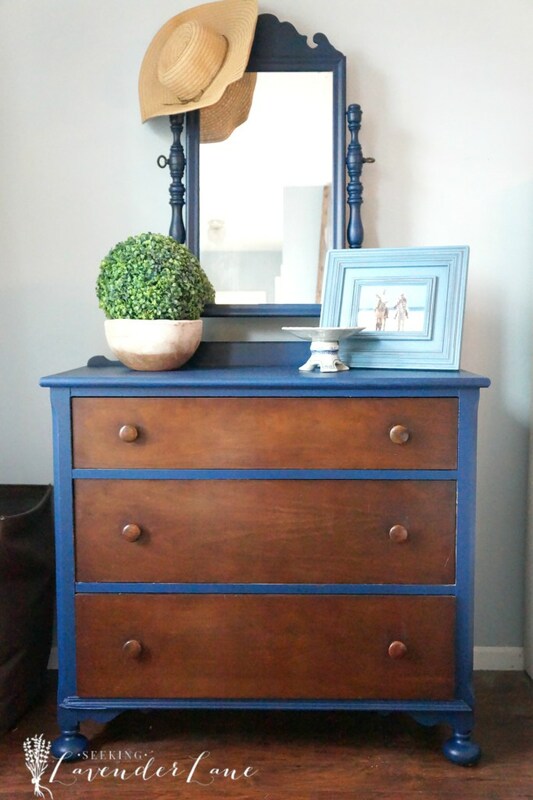 Amy at Canary Street Crafts transformed this lovely piece with Velvet Finishes Timeless + Enhance Dark Glaze! 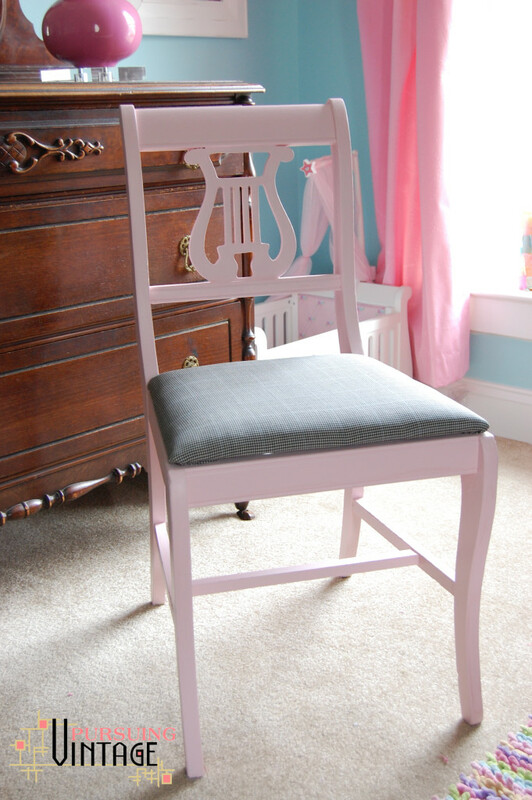 Kristen at Pursuing Vintage gave this chair a fun makeover with Velvet Finishes Ethereal! Isn’t her fabric choice stunning? 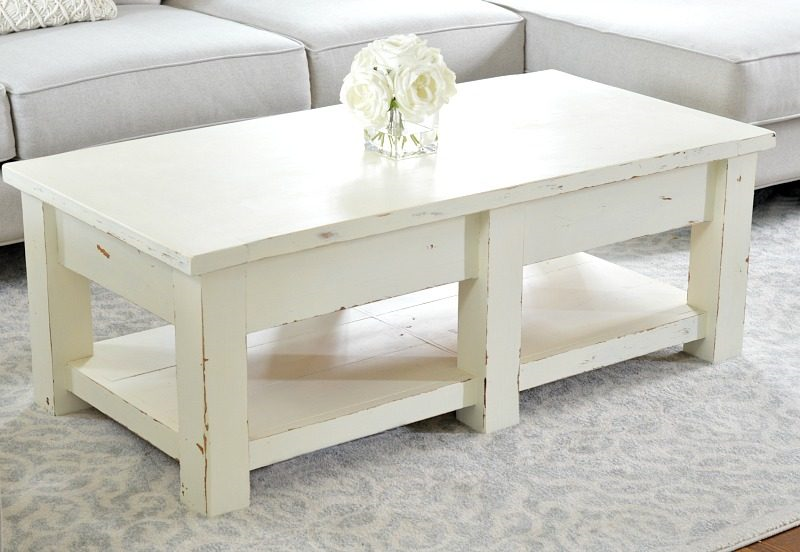 Jenna at Wife In Progress Blog painted her coffee table with Velvet Finishes Rococo and lightly distressed the edges and sides. 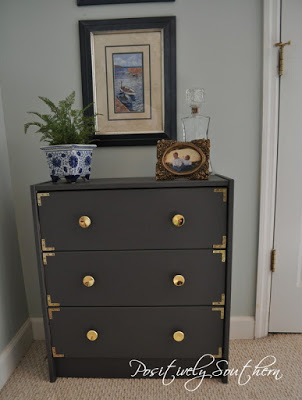 Tamyra from Positively Southern painted her project with Velvet Finishes Timeless. 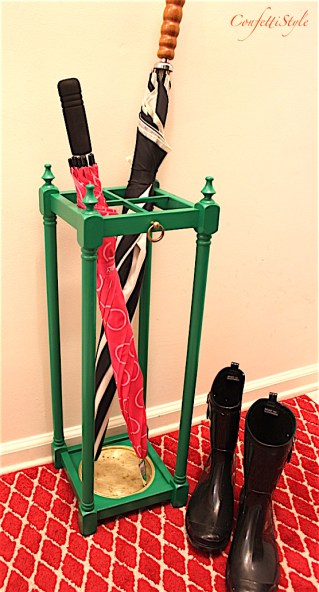 Shelly at ConfettiStyle transformed an umbrella stand and bar cart with Velvet Finishes Baroque! 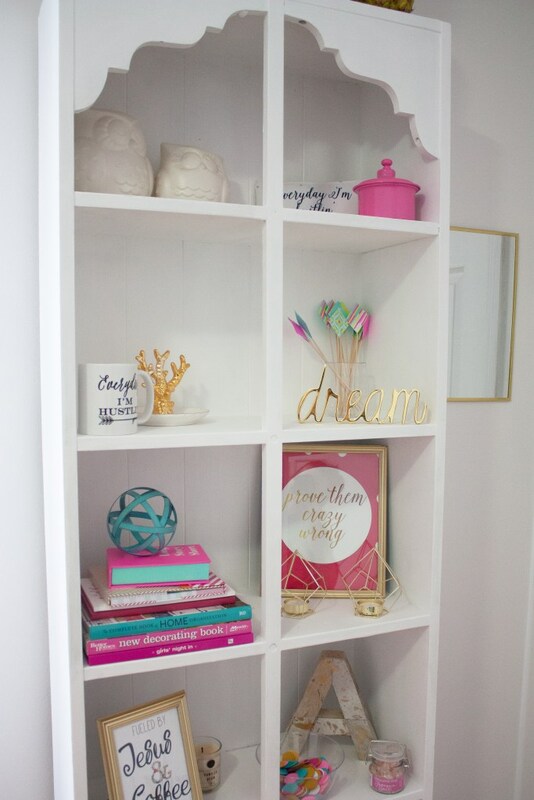 Marsha at MJones Style used Velvet Finishes Ethereal for her Makeover Madness project! 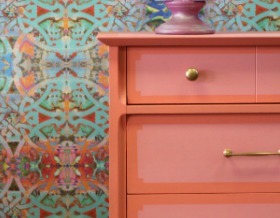 I hope that you’re feeling inspired to create something magical with Velvet Finishes! 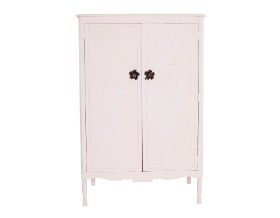 What pieces do you have that could use the Velvet Finishes touch? Fabulous round-up Kellie. I loved working with Velvet Finishes!